A soft and feminine winter outfit to start the new year featuring fifteen of the most affordable and chic ballet wrap tops. I've been stocking up on wrap tops for a few years now but lately I've been fixated on the sweater version as it's a cozy update to a classic feminine style. 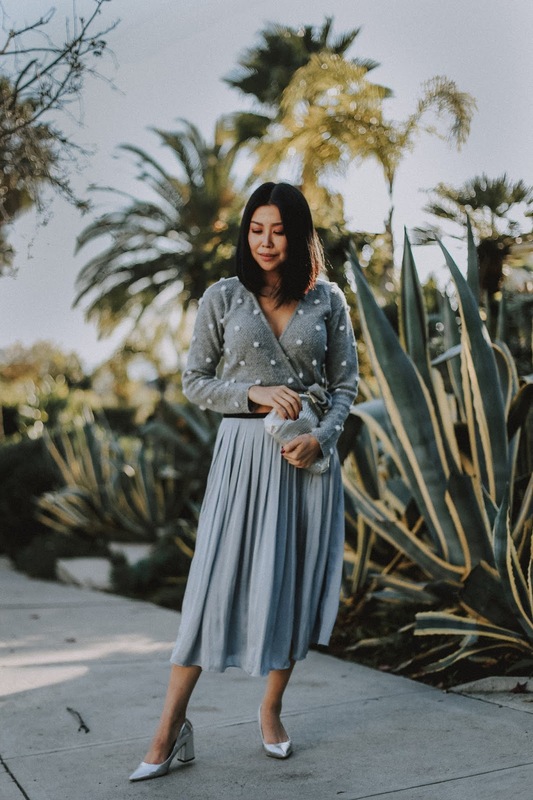 There's really no wrong way to wear a wrap top as they pair well with pants and skirts alike but my absolute fav way to style it is with a billowy satin skirt that exudes dainty ballet form.